Approved for Qualification for ANCB Naturopathic National Boards for Traditional Naturopath! Those exceptional students wishing to complete the requirements for Doctor of Natural Medicine suitable for US and International recognized License, may apply to our post-graduate Degree Program. This Traditional Naturopathy, Traditional Naturopathic Doctoral Diploma/ Degree Program is Post-Graduate and may be applied for after completion of ASA/ PNM and or Associate in Sacred Arts in Traditional Natural Medicine Degree requirements or with substantial education and or current medical background (MD, RN, Chiropracter, etc.) as a substitute for the PNMA or Associate in Sacred Arts in Traditional Natural Medicine Degree Diploma Program. Our Doctor of Sacred Natural Medicine/ Traditional Naturopathic Physician Diploma qualifies for NAIC and or SMOCH recognition’s, vocational and or Medical Licensing Under Doctor of Clinical Therapy DPT/ DCT or Doctor of Medicine DSNM(P) depending on final areas of clinical specialization. For details and cost for our most advanced Diploma program Click Here! Because our DSNM College Degree program incorporates distance learning with conventional in-class residential training and course work, our fees don’t have to support large campuses, high overheads and excessive administration salaries hence, large savings are passed on directly to you. In fact, we can save you up to $160,000.00 in fees compared with other institutions offering similar Degrees. With SomaVeda College of Natural Medicine almost half of your study is done from home, in your own time, on your terms. This means there is no need to give up your current job, while you study Natural Medicine. Study from ANYWHERE in USA and the world! Course Goals and Objectives: Click here for more DSNM learning objectives! The entire course of study prepares one to practice primary care, natural medicine. The two course programs are also designed to provide students with adequate preparation to apply to the various organization which offer accreditation, recognition’s and or licensing such as NAIC, ANMA, ANCB, SMOCH, and ESPOCH (Ecuador). To ensure continued career success, the graduate will continue to learn new and current information related to techniques, trends, and methods for career development in natural medicine and related fields. The graduate will consider this continuing education a fundamental part of professional growth and development. Our teaching approach gives the practitioner a more than affordable alternative to new vistas in education by combined resident studies and distance learning. These are not ordinary courses with ordinary content. Each course is designed to be a life changing ascent towards the goal of becoming a physician of natural medicine. NAIC SomaVeda College of Natural Medicine and Pan American School of Natural Medicine (Nevis, West Indies) offers a wide range courses in both the Graduate and Undergraduate programs. Undergraduate courses have course numbers 499 and below. Graduate courses have numbers 500 and above. Consult with the Dean prior to enrollment to make certain that your course selection will meet your degree or diploma requirements and that you satisfy all prerequisites for the Diploma or Doctorate program. Each course description includes all prerequisite requirements in bold. Any exceptions or exemptions to these requirements must be approved by the Academic Dean. For a complete description of courses and cost, Please Click Here! 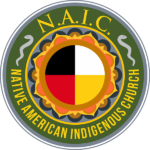 Native American Indigenous Church: SomaVeda College of Natural Medicine operates under authorization, as a degree granting institution through exemption, by the Florida State Board of Independent Colleges and Universities under Section 1005.06 (1) (f), FLA Statutes. 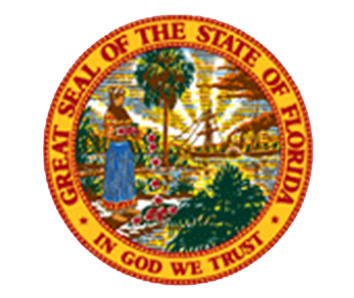 The state, like other states, does not require accreditation or theological accreditation for our religious education based programs.